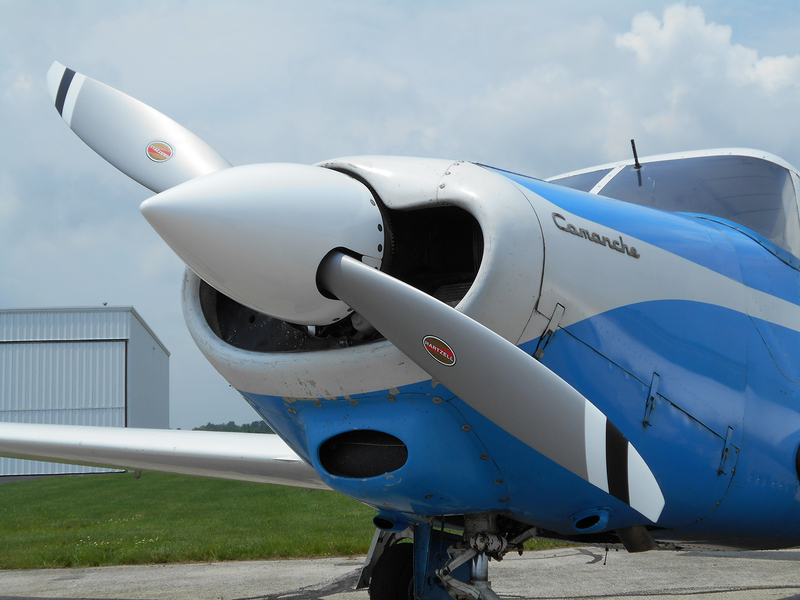 Piqua, Ohio, August 21, 2013….Hartzell Propeller has been granted a Supplemental Type Certificate (STC) for a new aluminum alloy, Scimitar-blade prop for the Piper PA-24 Comanche 180, built between 1957 to 1964, powered by the 180 hp Lycoming O-360-A1A engine. The 2-blade ‘Scimitar’ design features the same successful blade design which has previously been available for several Mooney and Diamond Aircraft models, and kit planes such as Van’s RV series. The new two-blade propeller kit features an aluminum hub and state-of-the-art 74” blended airfoil, swept-tip blades, plus a pointed composite spinner assembly. Installed, the new kit weighs 61.4 lb, nearly 5 lb less than the original steel-hub model, including the new light weight composite spinner finished in either Matterhorn White or metallic silver. List price is $8800 from Hartzell or its Top Prop Dealers worldwide.